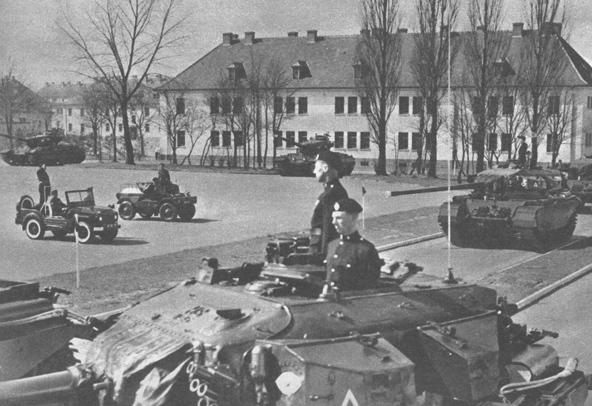 "Centurions of the newly formed 4th Royal Tank Regiment drive past Major-General H.R.B. Foote VC, DSO on a barrack square in Germany. The 4th and 7th were old friends who had fought side by side in World War Two battles."